The first rule of a shutdown? Blame the other side. The second? Don’t look happy about it. In the past day or so, Donald Trump has tried to stick to the script. “The Democrats now own the shutdown!” he tweeted, in the vain hope the social media sphere would believe him. Hours later at a public event, he doubled down. “It’s up to the Democrats as to whether or not we have a shutdown tonight,” he said. “I hope we don’t,” he added, almost wistfully. Of course, this act had already been fairly dramatically undermined by his extraordinary exchange with Democratic congressional leaders Chuck Schumer and Nancy Pelosi in the Oval Office last week. Not only did he repeatedly promise to take the blame for a shutdown, he did it on camera and declared he’d be proud. The totally unnecessary public comments looked then (and even more so now) to be a significant strategic mistake, particularly when you consider this is the third shutdown of 2018. The wall is usually safe territory for this President. His loyal supporters love the signature policy, so much so that he’s even put out a possible design for the rest of the project that is allegedly “totally effective while at the same time beautiful”. In the big scheme of things the $5 billion or so he is demanding for the steel slats is a relatively small amount for a country that has a national debt of more than $21 trillion. In another era it’s not ridiculous to think some sort of deal may have been done, but his opponents are emboldened, not least by the recent midterm elections. They take back the House of Representatives in January and know voters generally hate a shutdown. If Trump is so openly offering to cop the political flak, why would they give him any sort of a win? Their main messages can roughly be summarised as: Not only is Mexico not paying for the wall as promised, it’s now more of a metal fence and the President won’t allow government services to resume until taxpayers cough up a huge amount of cash to build it. 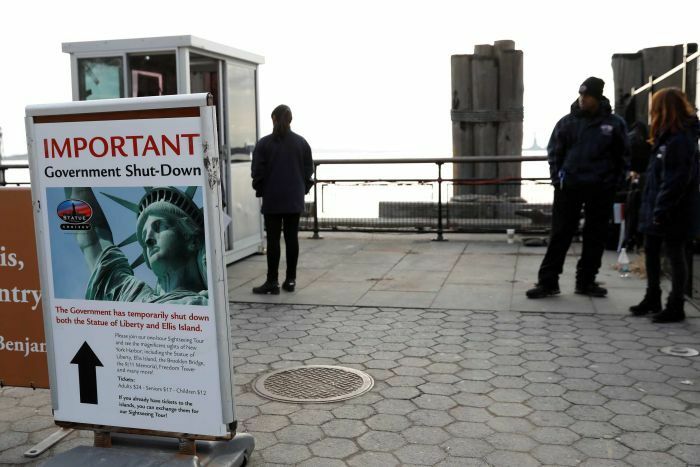 In some ways this shutdown saga seems a fitting end to a completely chaotic slide into Christmas. Just this week alone the President’s former national security adviser faced court again for lying to the FBI, it was announced Trump’s personal charity is being wrapped up under judicial supervision, it was revealed troops were suddenly to be pulled out of Syria and the Defence Secretary declared he was quitting. Oh, and the markets took a dive too. Of all these developments, the departure of Jim Mattis from the Pentagon will still be causing the most concern in Australia. There has been plenty written about how he was sometimes viewed as the “adult” in the room, who could perhaps curb some of the President’s more outlandish ideas or clean up after controversial comments. But most importantly the four-star general has also always been a big believer in maintaining and strengthening America’s impressive array of alliances across the globe. 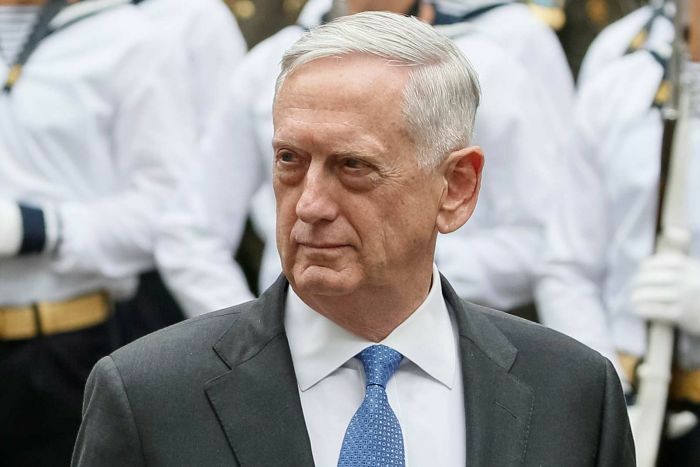 In places like Brussels, Berlin, London and Canberra the response in recent years has often included a variation on the phrase “there is Mattis”, after a polite enquiry about the health of various US relationships. The biggest question is, who will replace him? Will it be someone with a similar world view to Donald Trump, as has been suggested? Will they at times view NATO as obsolete? Or see investing military resources in places like South Korea as a burden? And will they have qualms with dealing directly with dictators if it helps put “America First”? This is not just a worry of allies, but clearly a major concern in the US Congress too. Republicans and Democrats have both indicated they are alarmed. A new Defence Secretary may allow the President’s transactional approach to foreign affairs and strategic deployments to shine through even more. These are some of Australia’s worst commutes. How does yours compare?